God has revealed Himself as one God in three Persons - God the Father, God the Son, and God the Holy Spirit. God makes Himself known through the inerrant writings of the Holy Scripture, the Bible. The main message of this Word is that God came to earth in the person of Jesus Christ. Through His perfect life, death on the cross of Calvary, and triumphant resurrection from the grave, Jesus paid the debt for the sins of the whole world. This is the Gospel of Salvation. God passes on this forgiveness of sins to people today through simple faith in Jesus' life and death for them. We are not saved by the works we do, but by God's grace in Christ, which we receive through faith in the Gospel. God creates and strengthens this faith through His "Means of Grace" which are; His Word (the Bible), Holy Baptism, The Lord's Supper, and Holy Absolution. It is in the Church that God gathers us together to receive these blessings. God has entrusted this Gospel message to His Church on earth. Our mission as Christians is to share the love of Jesus with the world. To make known the Gospel that the Lost might be saved. And to support one another in Christian life and works. 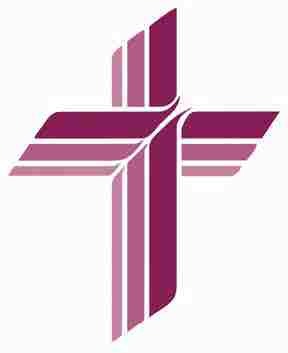 Our branch of Lutheranism is The Lutheran Church - Missouri Synod, headquartered in St. Louis, Missouri. You may be interested in finding out who we are and what we believe.